Today on my Field Trip I got to play with the Mac Book Pro with Retina display at Best Buy and I was impressed with the system, while the extra cost and not so obvious benefit of the Retina display seemed to underwhelmed me. After looking at the iPad Mini I looked for the Mac Books to see how they were, I didn’t even see any Mac Pro desktops but there was a nice 27″ display sitting there. I skipped over the Mac Airs and found the newer 15″ Mac Book Pro with Retina and I didn’t seem to find any difference between how the display looked with a 15″ Mac Book Pro right next to it. I could see a difference in contrast the Retina seemed to be darker but still easy to use. As for the upgrade to the system it was very clean, thin and light. It seemed like a system you could just slip in a case and take everywhere you went to have a powerful computer. I also liked how it seems to have no fans or cooling at all. Also the connectors all were located along the back sides of the system making it so no connections would be sticking out in strange places, most PC laptops have USB ports right in front or the power cord on the back, on the Mac Books it was all clean in the back. The Mac OS was seemed very responsive and loaded programs and switched around fast. I did some testing using the keyboard, it was strange for me because I use an older mechanical keyboard on my desktop when I do most of my typing and a no space plastic keyboard on my older laptop. But the chiclet keys that Apple use are very easy to press but you have to get use to the gaps of aluminum that separate all the keys. I made only 1 or 2 mistakes typing on the keyboard and when I did the OS was able to help me fix the problems very easily in the note application. While I wasn’t able to test the full power the system was nice and worked well, I liked the quality of the camera built-in and the display was good but I didn’t see any difference. If you are going to buy a Mac Book Pro I may be worth it for the better screen and just the updated system specifications. This makes me want to go Mac but the price is way more than I can afford right now. You can also check out the full specs of these systems on the release article. Yes the title is kind of strange. But I got to play with an iPad Mini on today’s Field Trip. I have played with iPads before and didn’t see a reason to go away from the Android systems I like, but lots of people like iOS. 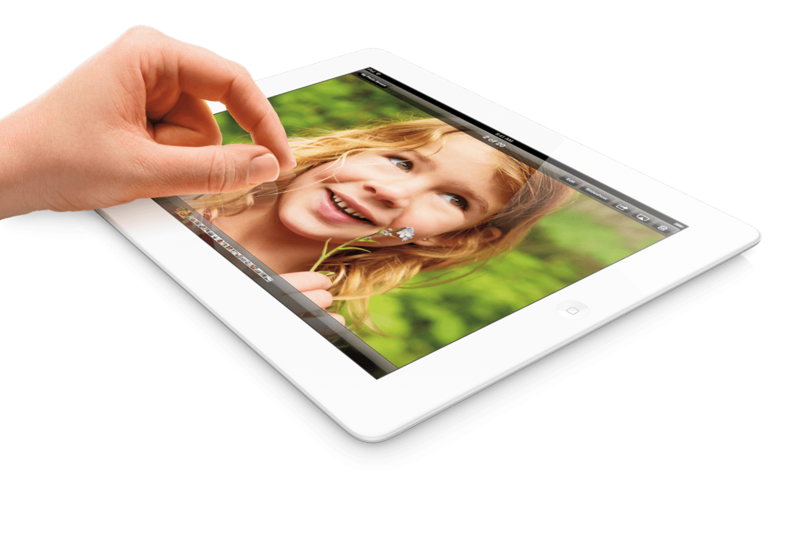 As for the iPad Mini its operation seemed smooth and things loaded fast and the screen was nice and crisp. As for the size, I have bigger hands than most but the feel of it was too big to the point that my hand was stretched way out to hold on to the device, making it hard to hold and at that point you may as well get the extra 2 inches. But if you wanted the smaller form this would be good if you are already in the iOS world and have only an iPhone or an old iPad but you wouldn’t want to get this if you have a newer iPad. One other thing is the flaw of only having that Home button, I opened up the iBooks app to see how a book looked, and while it was nice there is no obvious way to get to all of your books or the table of contents. I tried holding Home but Siri wanted to help me find something, swiped from the edges but only a small bit of something came from the top but wouldn’t pull down, double tapped and even did a long tap and only got page turns. While this is only one app it does point to the fact that if there is no menus on-screen and no buttons what are you supposed to do if you have no other instructions. At least on Android you know that the menu button will get you some kind of menu, but also on Windows 8 I see this as a problem until you know that if you slide from one side a menu opens. 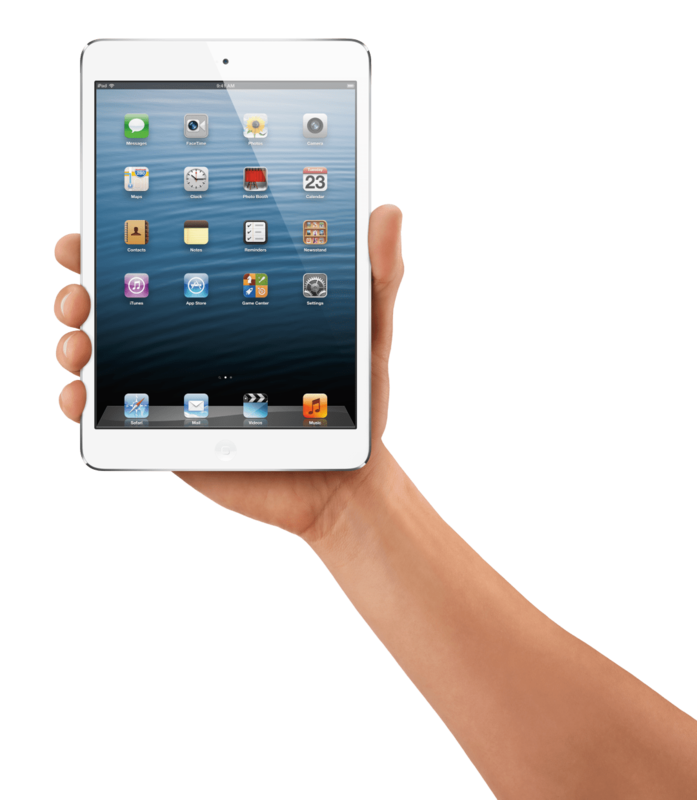 My experience with this app should not say if you are going to get an iPad Mini for the smaller size it should be a good experience, but it isn’t something you would go buy the iPad 4th generation and then need one of these. You would kind of just pick one based on the size you want since all of the same apps work on both devices. Just took a Field Trip to the Verizon and Best Buy stores after lunch today, I’m going to call these posts Field Trips because I have to go out and play with new tech. Some of the main things I played with at the store were the iPad Mini, MacBook Pro with Retina display, Kindle Fire HD, and Nokia Lumia 822. I also played with some of the ASUS gaming laptops and a dead Samsung Chromebook. While these aren’t the best settings for playing with them because I could not spend a lot of time playing and they were tethered to the display I did my best just playing with them. I also would like to get some of these in as review units or if some donations come in for a specific product I would review it also. iPad Mini looks nice and would be a great smaller screen iPad if you don’t already have the newer full size iPad, I wouldn’t think you would need both. Check out the full mini review. Mac Book Pro with Retina Display is a very powerful laptop computer, and with the higher resolution screen it looked nice but is it going to be worth the extra $500 or so for that nicer screen. I liked how it worked and had the older model side by side and couldn’t see much difference other than the Retina had more contrast, I’m sure more using it from the older model you may see a difference. Read the full mini review for more. 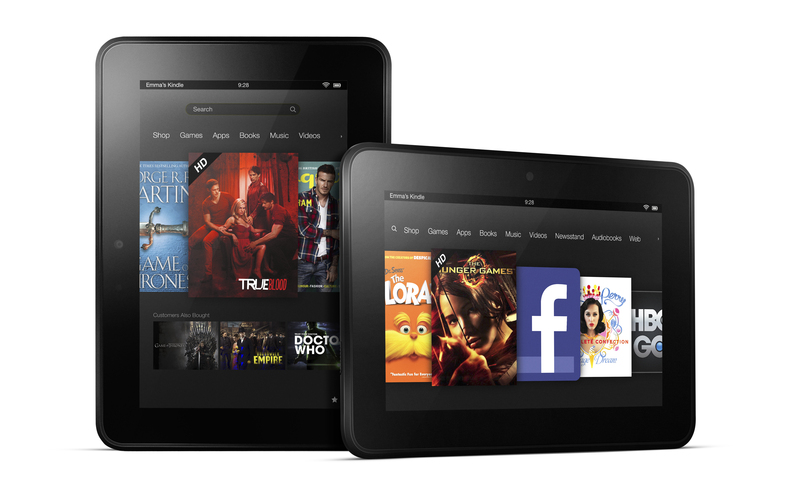 Kindle Fire HD is a good device for consuming Amazon content but it doesn’t seem as powerful as a Nexus 7 that I am use to. More in the mini review. 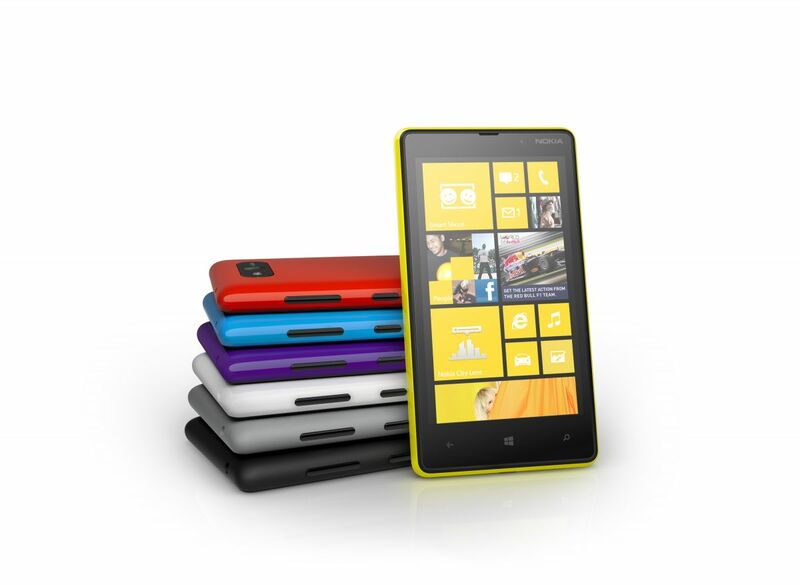 Nokia Lumia 822 is one of the flagship Windows Phone 8 devices while it has smooth operation and looked good, Windows Phone 8 seemed empty and just lacking in non-core apps even from a display model. See what I saw in the mini review. Those are the big ones I played with but I did look over some other devices such as the ASUS gaming laptop that had good specs and all the keyboard was kind of clunky and seemed overpriced for what I could get a Mac Book for almost the same specs. I also don’t like Windows 8 all that much on a non-tablet or touch screen. The Samsung Chromebook was set up kind of off to the side in an under equipped display that only had one left in a box that looked like it was taped closed after being opened at Best Buy I wanted to see it work but the system said click to start but I only got a spinning indicator and even after trying to power cycle it nothing came up so I left not knowing how things will work on that system. Too bad because I wanted to know how the system performed but bad displays will not sell these even with a low price tag. 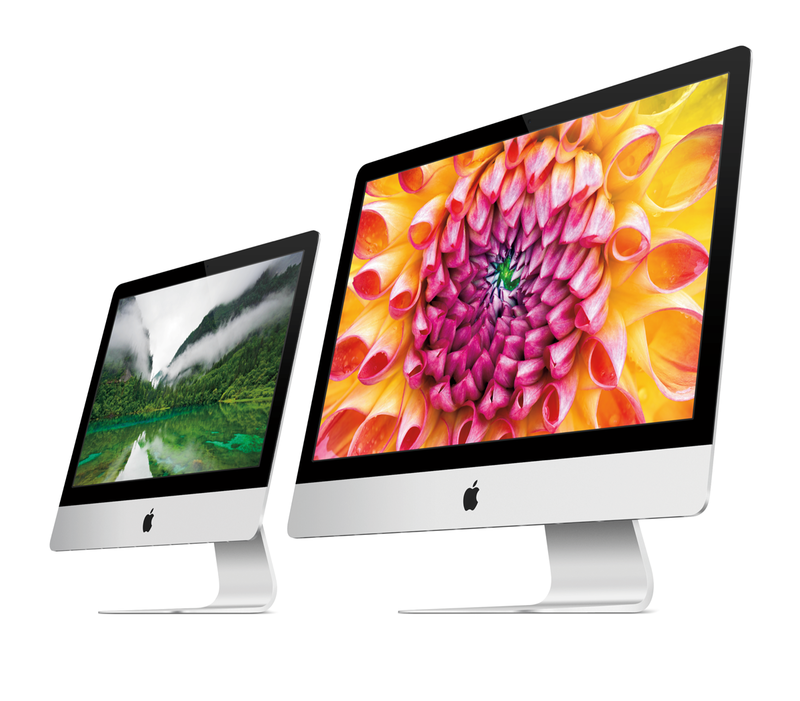 The Apple iMac got an update announced todays “event” that improves the display, and storage options. The new display includes a special coating that reduces reflection along with updated NVIDIA graphics. They also updated the processor to include the new Intel chips and put it all in a thinner case. For storage they now include what they call Fusion Drive that is a combination of Flash memory, standard hard drives and special Mac OS software that makes the two drives look as one, along with manages what applications and information is stored on the Flash memory or hard drive based on use. There was also a small update to the Mac mini that updates the processor with a Intel i5 chip. Both the iMac and Mac mini also have a reduced power usage. The Mac mini is available now, 21.5 inch iMac will be available in November, and the iMac 27 inch some time December. Prices start at $1,299 for the 21.6 inch iMac, $1,799 for the 27 inch iMac, and $799 for the Mac mini all at the base model. At the Apple “event” today one of the first announcements was an update to the 13-inch MacBook Pro to include a high resolution Retina display. 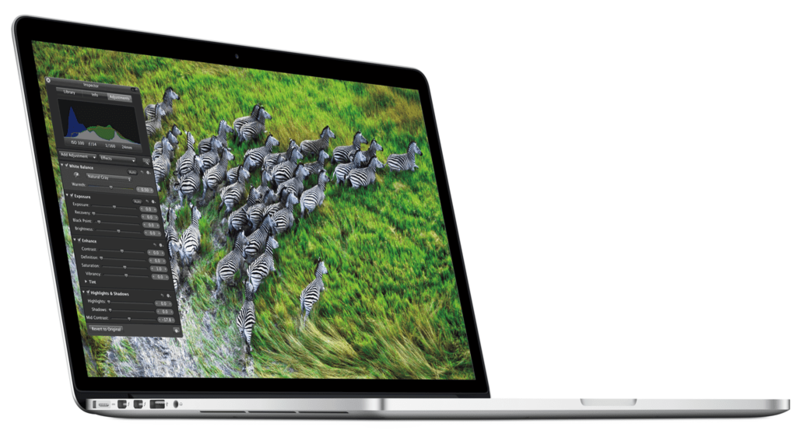 The 13.3 inch IPS display has a native resolution of 2560 x 1600 and the Mac OS is updated to take advantage of this display. There is also an update to the processor and reduction in how thick the laptop is. To get it only 0.75 inch thick body, they removed the DVD drive. You can get this laptop in a standard 2.4 Ghz Intel Core i5 processor 8GB RAM, Flash storage, Intel HD Graphics 4000, and up to 7 hours of battery while using wireless internet. 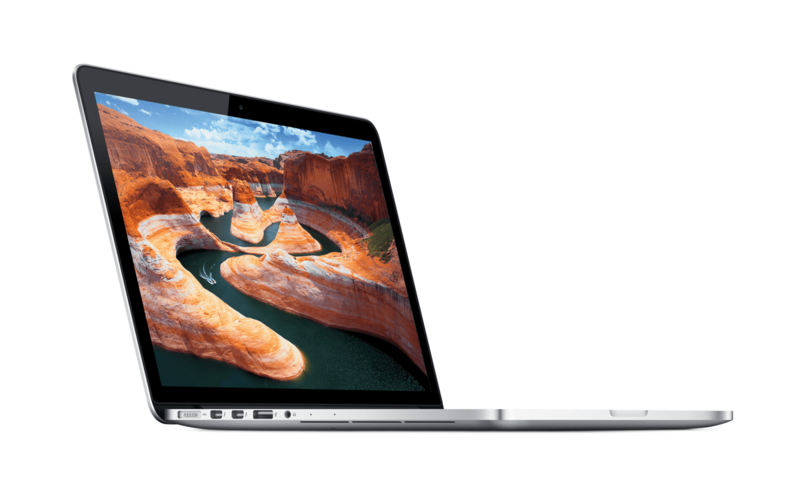 You can upgrade the system to include a 2.9 GHz Intel Core i7 and up to 768GB of Flash storage. 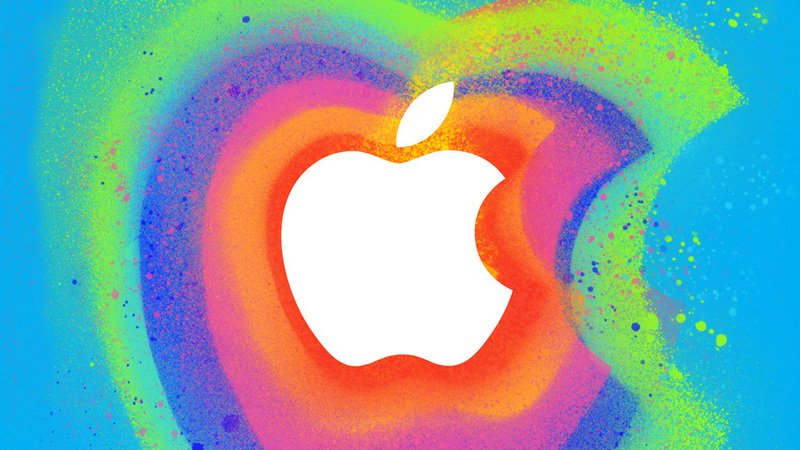 We are going to be live blogging the Apple announcement starting 10:00 AM PDT with the video Apple will be putting out. You can follow the video on the Apple Events site, and full information will be avalible here on Tek4.me as details come out. The expected announcements are a New New iPad (4 generation), iPad mini, or maybe an update to the MacBook laptop line, will see what comes out! We don’t like to speculate too much or have unannounced rumors, but do expect everything to be amazing, one more thing, and the best! Thats all for this Live Blog full information to come stay tune to Tek4.ME for those updates! Thanks for reading along. Recap, update to MacBook Pro 13 inch, update to iMac, update to iPad to 4th Generation, new iPad mini. 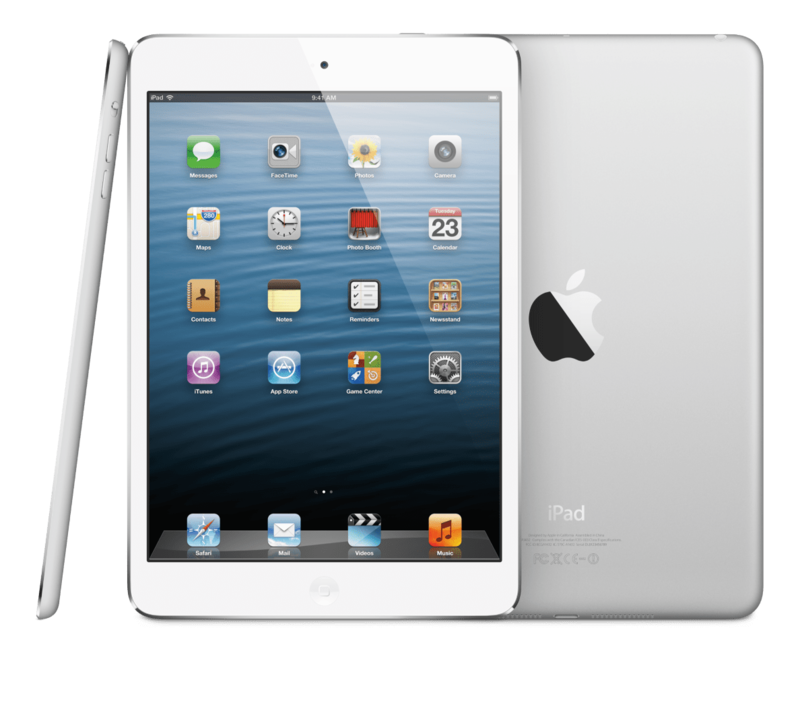 iPad mini specs: A5 processer, LTE version, Lighting connecter, front and back connecter, 10 hours battery, 7.9″ display, same apps as normal iPad. Trying to show apps that are optimized for iPad to none updated Android apps not made for tablets, that makers of those apps are responsible for not Apple or Google, kind of a low. Fusion Drive combines both a Flash memory drive and standard hard drive and is managed by the os to keep most used applications on the SSD. Updated iMac has better anti-glair screen. They have started by talking some numbers of how good iPhone 5 is selling, and shown some video of people buying the iPhone. Full updates start at 11 AM MDT when the event starts. Nest announced today that they have an update to the Nest Thermostat that makes it compatible with 95% of low voltage heating and cooling systems, along with a slimmer unit, and updated software. The Nest is a “learning thermostat” that is connected to the internet, it tracks your settings such as when you come home and want your house warmer or when you are gone and don’t want the heat up. You can also control the thermostat from an iOS device or Android device, the App shows things like current temperature, set the system to heat or cool, setup schedules, or see statistics of your heating or cooling use. The updated software on the new Nest adds better controls for forced air systems that start in the morning, better energy savings on radiant heat systems, and support for heat pump systems and other extra add-ons to different systems. 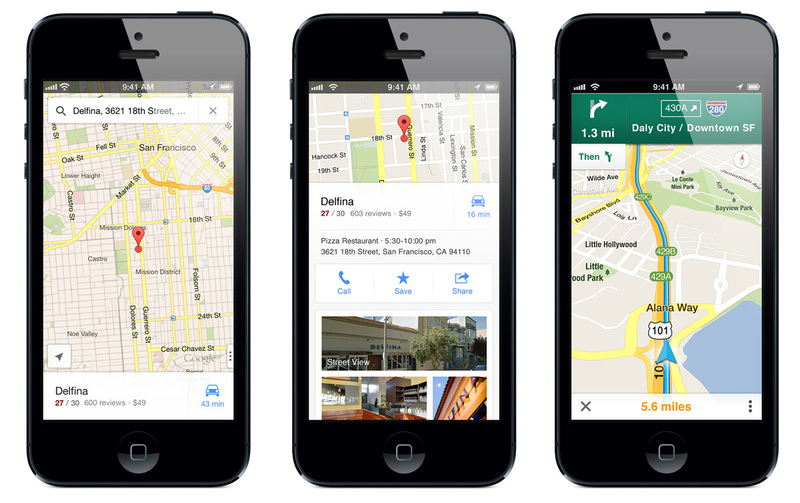 They also updated the mobile apps for the new features and support for Android tablets. The new Nest can be pre-ordered for $249 and ship later in October, and will be available on Amazon.com, Apple online store, and in Lowe’s stores. 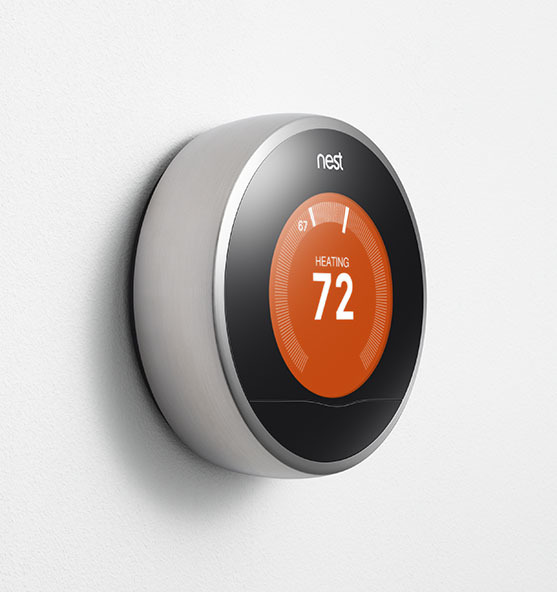 The updated Nest Software 3.0 will be updating existing Nest thermostats tonight.